With Newcastle more than 280 miles away from the big Smoke, you'd be forgiven for thinking a convenient and affordable London theatre break is out of reach. But getting to your London theatre break by rail can save you valuable time and money: up to 50% off your train fare when you book a London theatre break with rail travel included. Taking your theatre trip to London by train can also knock more than two hours off your journey. Direct trains from Newcastle to London King's Cross are as quick as three hours 10 minutes  enough time to really relax and look forward to that top London show. Book a London theatre break by rail from Newcastle, and see top musicals like The Lion King, Les Miserables, Wicked and jukebox smash-hits like Thriller LIVE. The glamour of the West End is just a few short hours away with our train, hotel and theatre packages. Why worry about travel? Book a theatre break to London by train from Newcastle with Show & Stay. Restrictions apply. Please see terms and conditions. Save time and money when you book your rail from Newcastle to London as part of your West End theatre break. With so many fabulous showstoppers on offer which London play or musical will you choose? 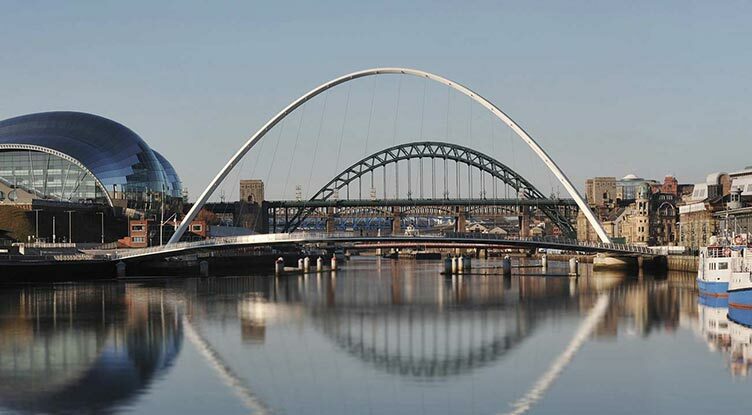 Save money and get to London in no time on a theatre break by rail from Newcastle.